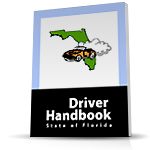 Kissimmee Driving School Online Internet Traffic School reads like a dream! It’s entertaining, informative and loaded with colorful pictures, graphics and animated cartoons. Our program is EASY to use, too – even if you’re new to the Internet – so we can guarantee you smooth sailing. Grab a soda and some snacks and you are sure to enjoy the course. Naps are a thing of the past with our wonderful (and simple) online course. The course is designed so that you will laugh while you learn. You will find informative pictures, colorful graphics, interesting charts, wonderful information, easy to read material, all taught in a fun and light approach designed to keep you interested while you are entertained. Our online course is considered to be the best course on the market today, and was written (“directed’) by a longtime Hollywood screenwriter who wrote some of the famous television shows in the early 1970's and 1980's. This course features a colorful, narrative flair and simplicity that only a screenwriter can bring to this first class online educational experience. The entertaining (and very educational) course is divided into easy-to-read sections. At the end of each section, you’ll answer a few simple questions. After you read through the entire course, you take a final exam. Don’t worry, over 99% of all students end up passing our course. It’s that easy. The computer then grades the test and you can be on the road again in no time. Next, we will send you an original completion certificate and you can print out your verification copy from home. All for the low price of only $29.99. Be sure to complete the course reading and final exam prior to your completion due date so we can deliver the certificate to you on time. If you have any questions or require any assistance, simply give us a call at 407-348-0005. Friendly and knowledgeable operators are standing by 6 days a week (MON-SAT 9AM-6PM) and can register in just minutes over the telephone. Or you can click on "Register Here" and enroll online right now. Either way, you can get started immediately! Besides having a quality and entertaining curriculum, the online course is available to you 24-7 along with state-of-the-art technology and outstanding customer service and support. Our 30 year traffic safety company has built its reputation (over 2 million graduates) with innovative and creative course design, and the online course is the most entertaining program available in Florida today at a price that will bring you a smile. You will be back on track and up to speed in no time.